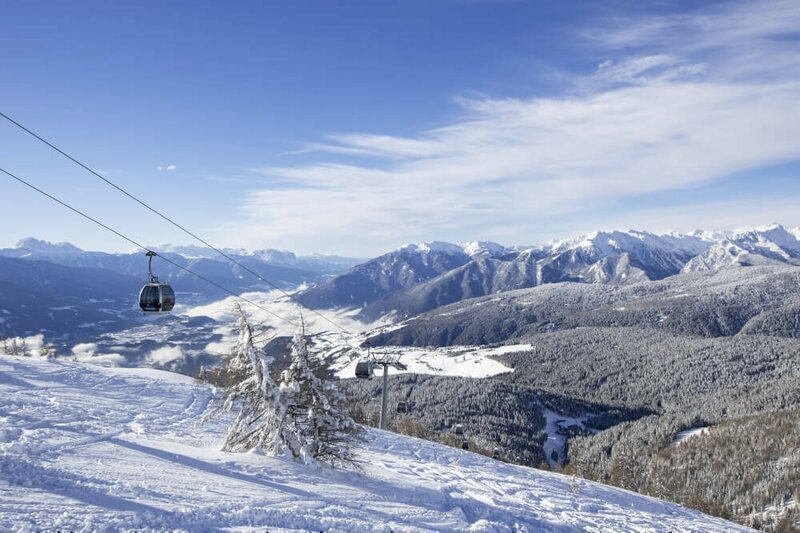 Why not visit us for winter sports – here, you’ll live right in the heart of one of the most beautiful ski regions in South Tyrol. 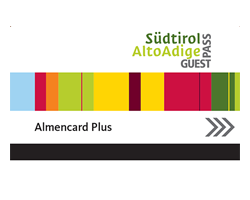 Our hotel in South Tyrol is located right by the ski slopes and guarantees great skiing fun. 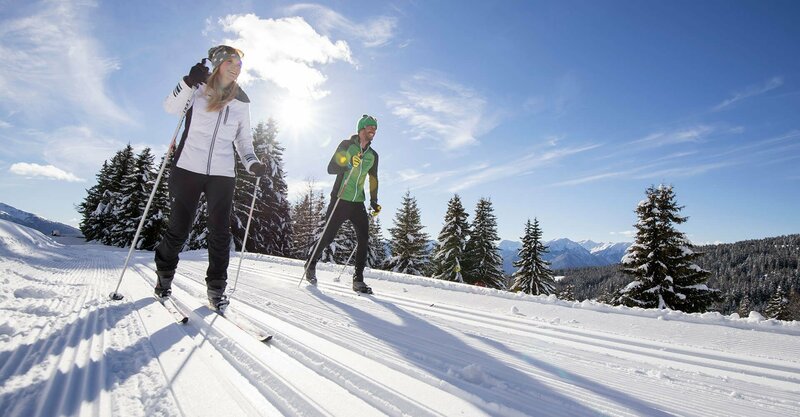 Furthermore, our winter sports area Gitschberg Val Giovo offers many opportunities to enjoy the magic of our untouched, snow-covered alpine mountain world, even off the slopes. 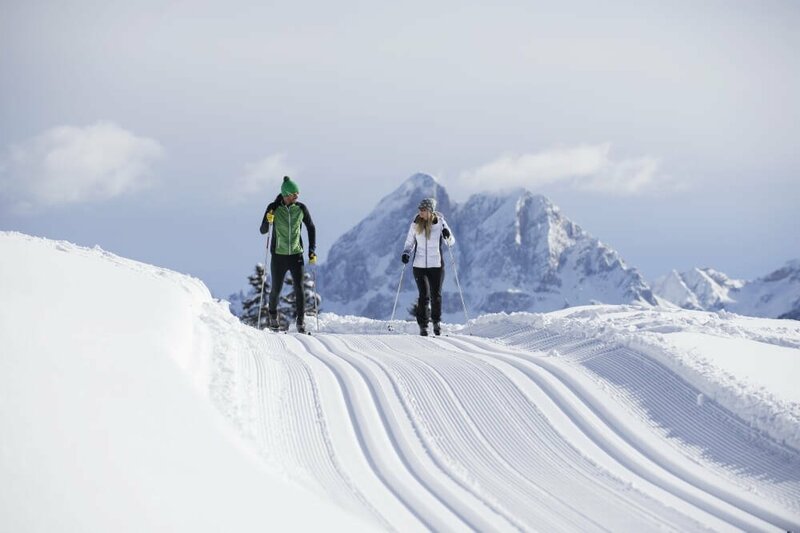 Winter hiking, snowshoeing, tobogganing, ice skating and other marvellous activities can be undertaken starting directly from our 3-star hotel in South Tyrol. And of course, all these winter pleasures can be combined with each other, thus, you may expect a new adventure every day. 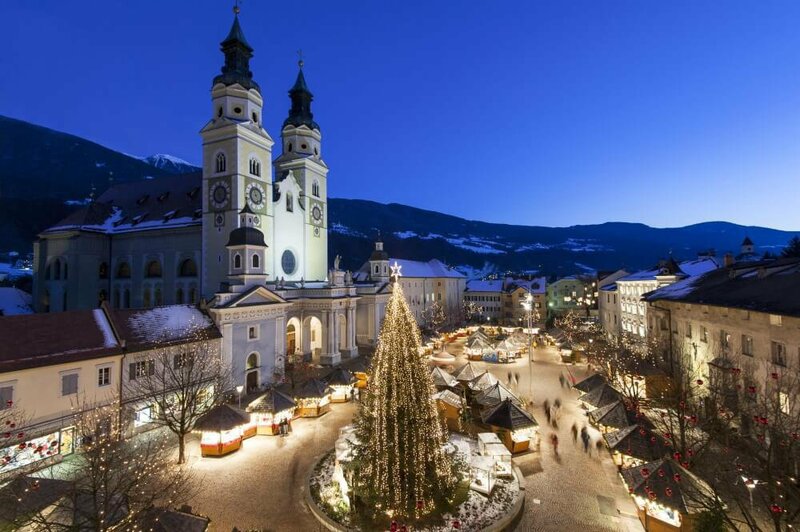 The ski resort Gitschberg Val Giovo includes two sub-areas, each of which has its own special charm. 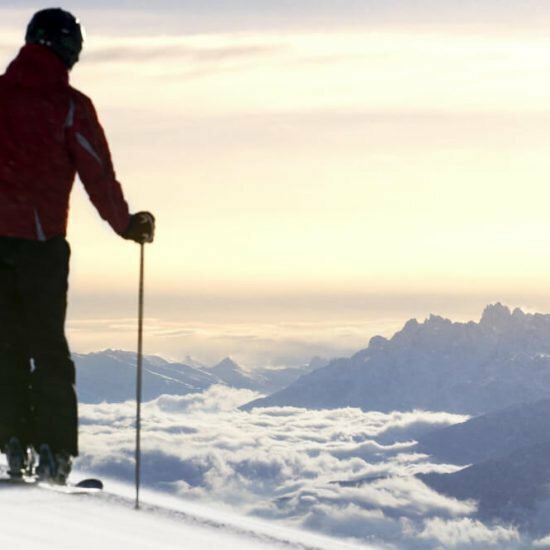 More than 55 excellently groomed, snowy kilometres of skiing slopes offer you a wide choice of different itineraries. 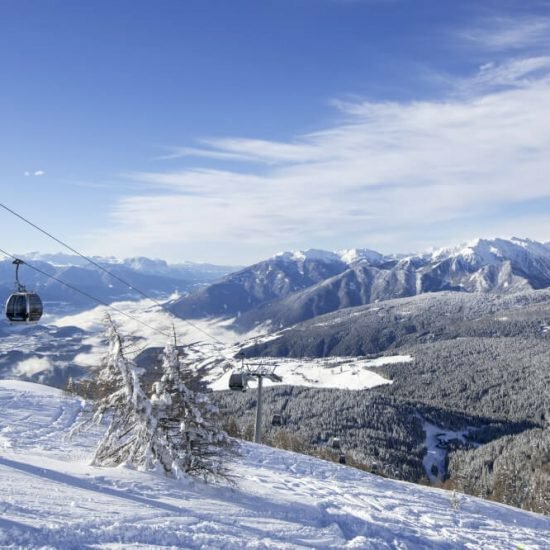 You may quickly change from Val Giovo to Gitschberg and vice versa by cable car, and thanks to the advantageous location of our hotel on the slopes in South Tyrol, you are very close to the Val Giovo slopes. 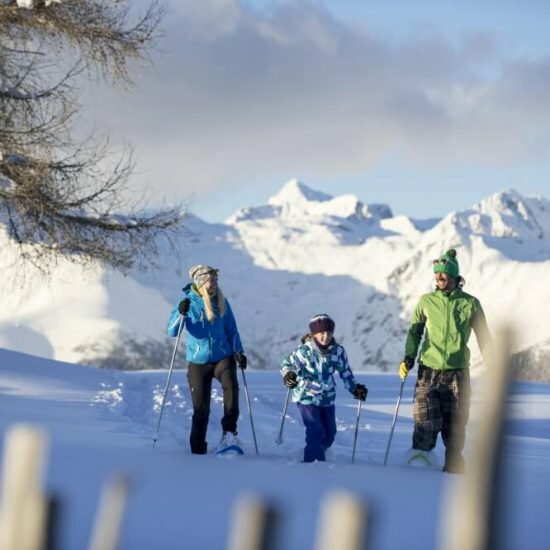 Of course, there are also plenty of après-ski opportunities for you – and the rustic huts of our region, open for guests in the winter, have already given many vacation days an extra touch of fun. 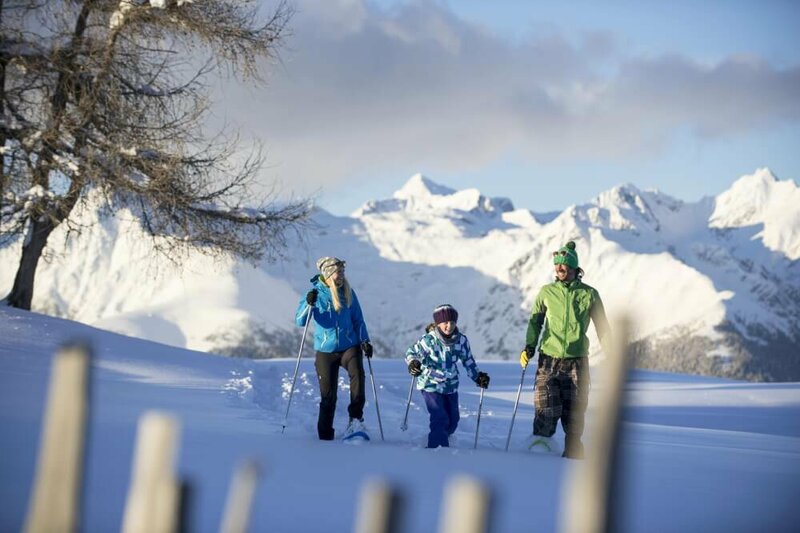 As a family hotel we can confirm the child friendliness of our ski area. 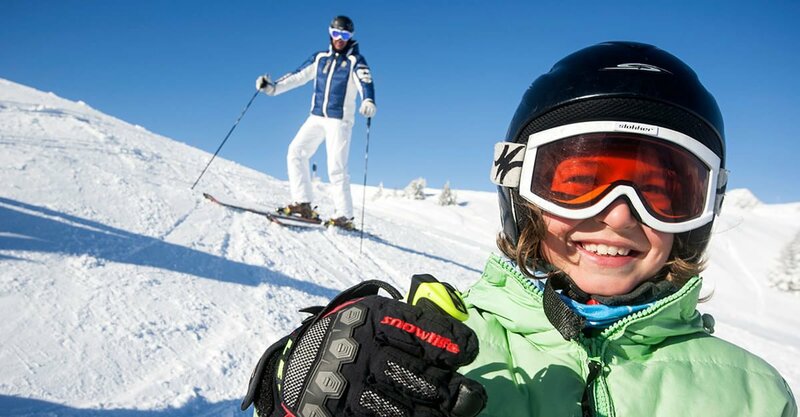 While the parents speed down the slopes, their children will have plenty of fun in the two kids’ worlds and in the Bambino Club Valles – or maybe even try skiing for the first time. Are you a romantic? Then come visit us during the advent season and combine your winter hike through the Valles Valley with a visit to one of our wonderful Christmas markets. 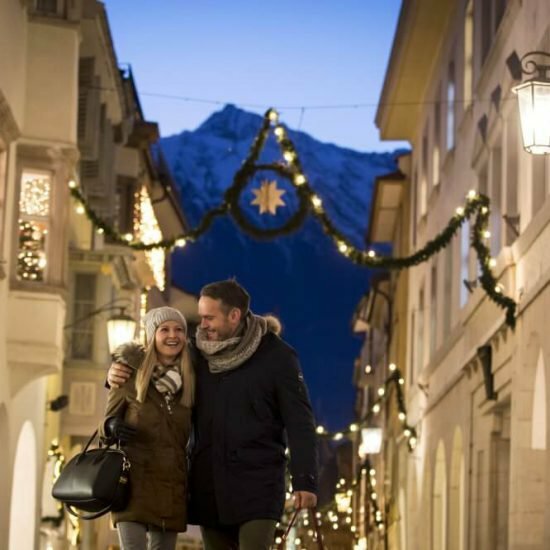 Besides the Christmas markets in our area, you may also visit the ones in Bolzano, Bressanone or Brunico and stroll through the festively decorated stalls. Now you certainly would like to know how things look like in winter? 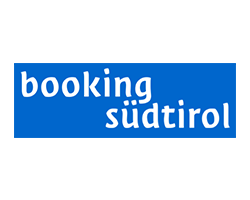 Click here on the webcam of our 3-star hotel in South Tyrol. And if you like the view, we look forward to your booking request. 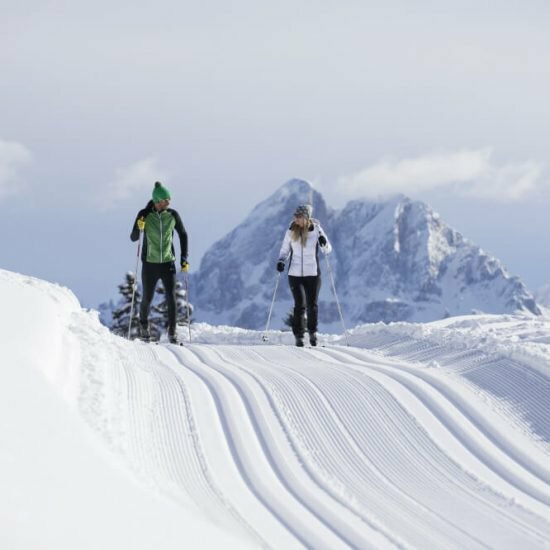 Many of our guests need some time away from the hustle and bustle of the ski slopes – They venture out in the white alpine landscapes, on panoramic tours on snowshoes or on cross-country skis, to quaint huts or on the toboggan runs. 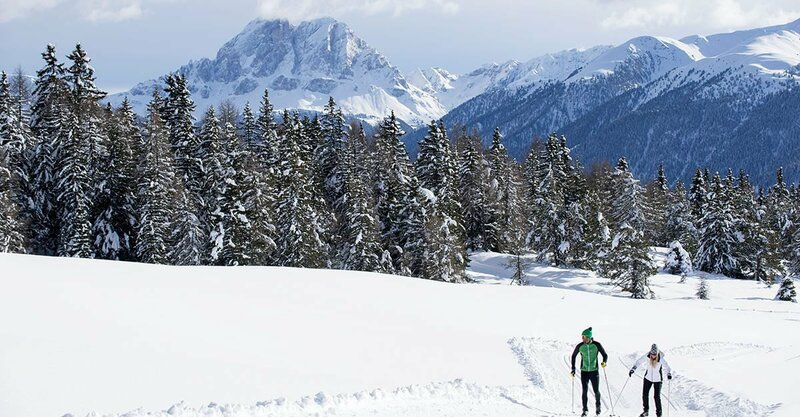 For them, our winter sports region Gitschberg Val Giovo offers a variety of attractive options that guarantee a perfect winter holiday in South Tyrol. Step on your snowshoes. This way you may explore many more winter hiking trails. 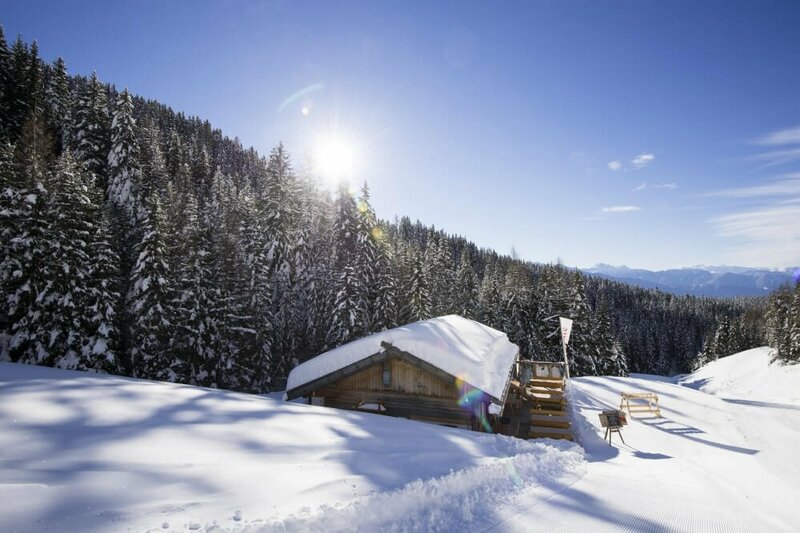 You may, for example, complete a hut tour and enjoy South Tyrolean culinary delicacies and the magnificent view of the Dolomites in the lodge Bacherhütte, the lodge Großberghütte or the lodge Pichlerhütte. 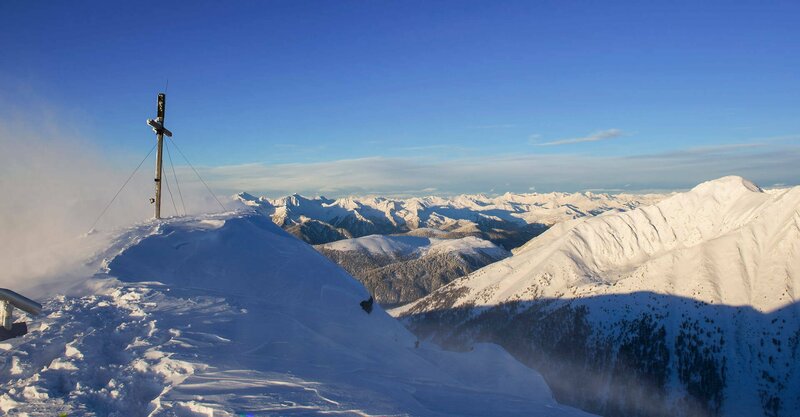 If you wish to go higher, then try a winter excursion to mountain such as the Kleine Gitsch (2,262 m) or trudge over the magnificent expanses of the Rodengo Alp and the Lüsner Kreuzwiese. 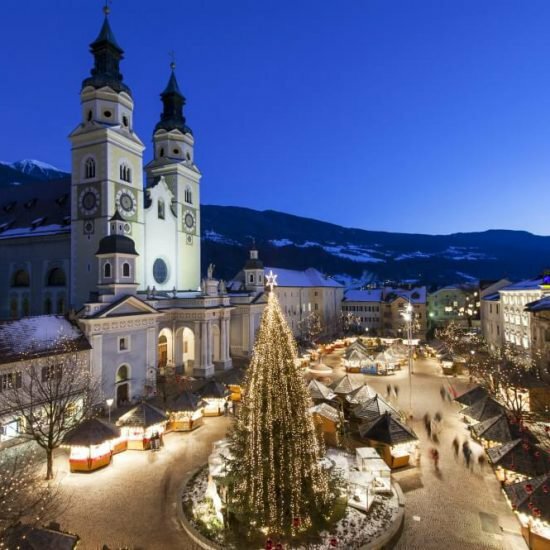 Of course, you may always go on a winter hike in the valley and take in the romantic flair of the Pusteria Valley at this time of the year. Moreover, there is also the alpine cross-country trail at just above 2,000 m, which is very popular. And there are many other charming trails throughout our region. 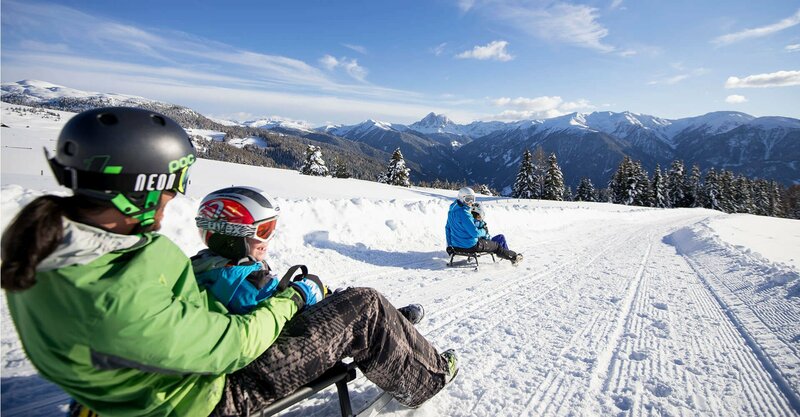 A true winter holiday is not complete without some tobogganing fun. Almost every town in Gitschberg Val Giovo has its own natural toboggan run. 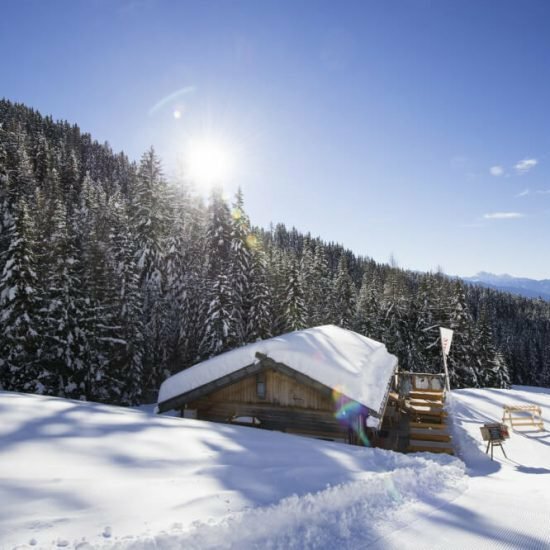 The most beautiful of the entire region, however, is the toboggan run at the Fane Alm in the Valles Valley, where you may even experience 3-km full moon rides. Even more winter fun is guaranteed by a ride on a horse-drawn sleigh – a truly unforgettable experience. And if you like ice skating, there are different opportunities – for example, the 2,000 m2 natural ice rink in Valles. 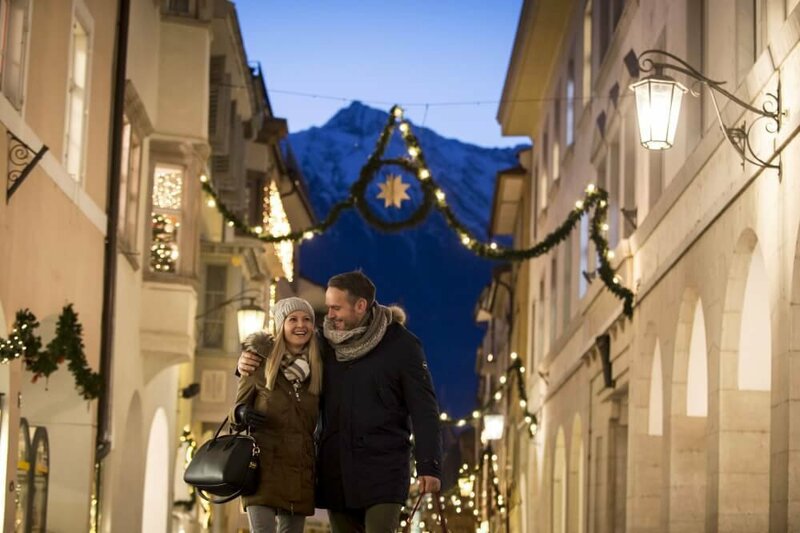 Gitschberg Val Giovo is not only an alpine region that is popular with hikers – as a first-class ski resort LINK Winter, every year the extensive area attracts many winter sports enthusiasts who wish to treat themselves to something truly special. 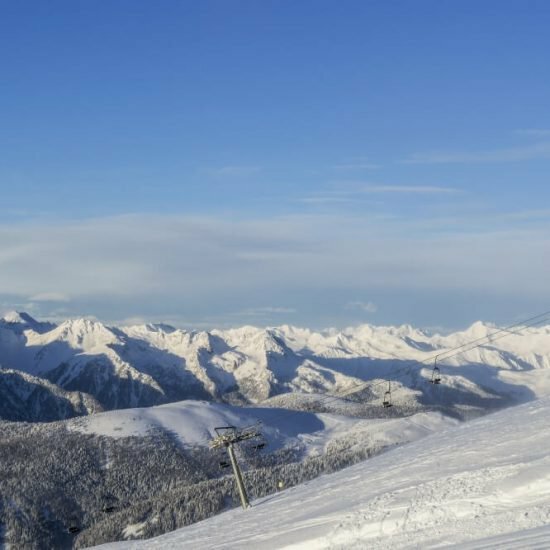 Experienced ski aces, families with different preferences and newcomers alike find slopes that leave nothing to be desired. 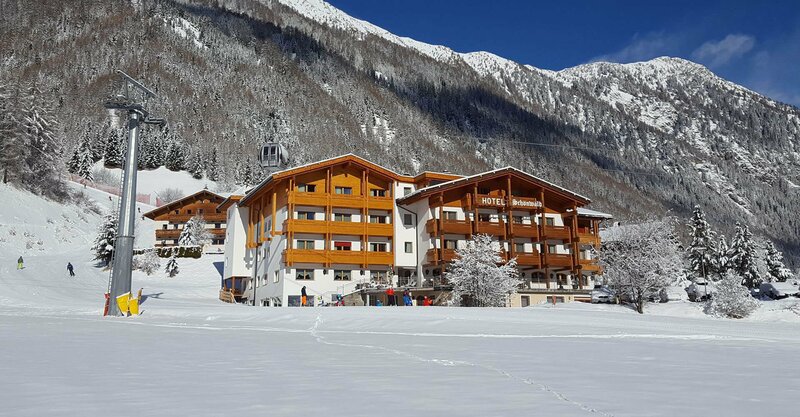 And as a very conveniently located hotel in Gitschberg Val Giovo, we bring you very close to the most beautiful slopes in the region. We are located directly next to the ski slope: the valley slope Val Giovo leads past our house. 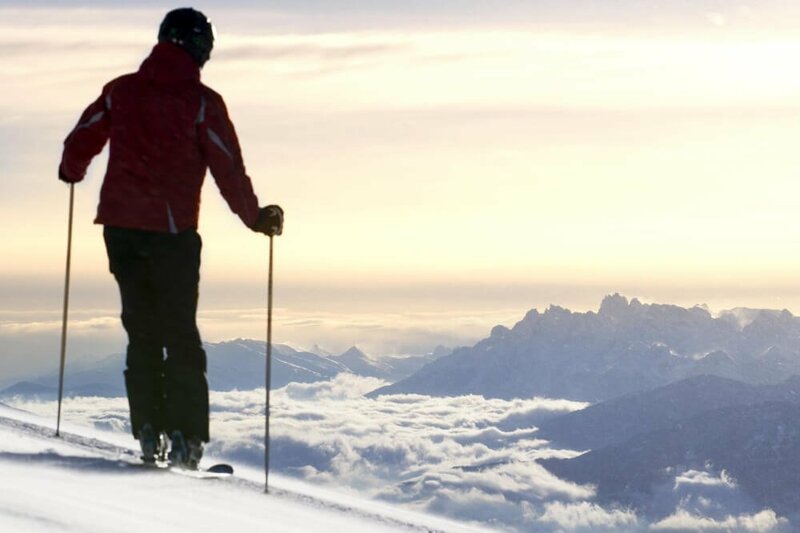 You could not wish for a better ski-in/ski-out. 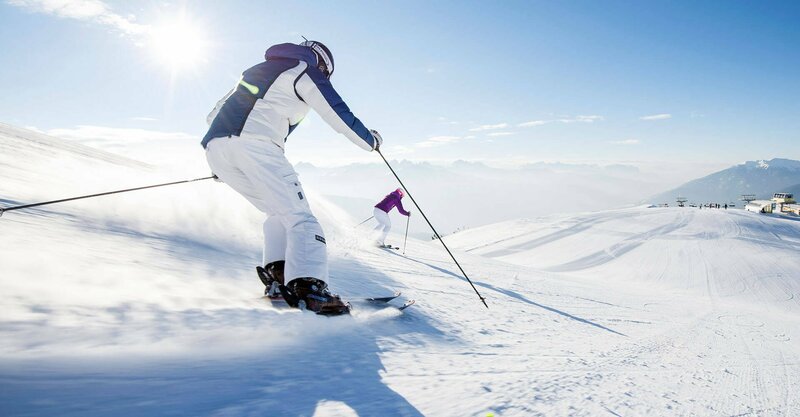 Thus, our guests enjoy short distances to the slopes, for much more skiing fun! 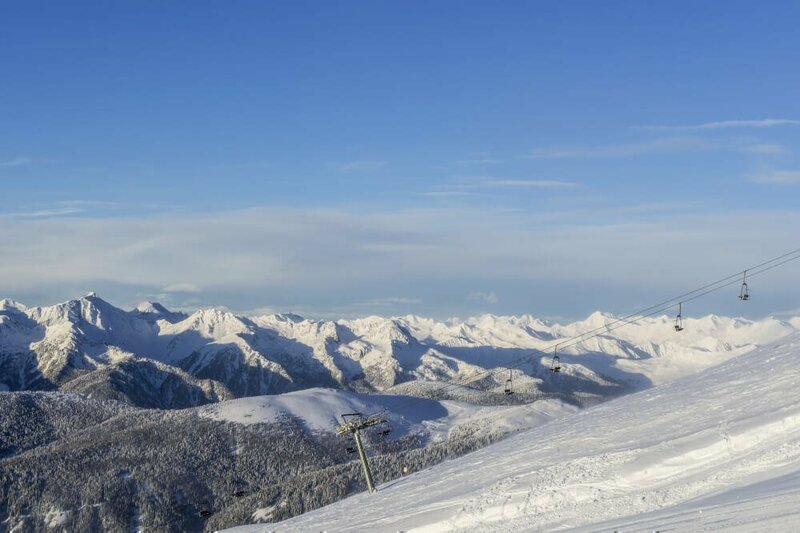 The Gitschberg Val Giovo ski resort is home to Mount Gitschberg (2,512 m) – the symbol of our region – that rises high above the alpine plateau of Maranza, and to the Val Giovo nearer to Valles. Both sub-areas are connected by the cable car Gaisjochbahn, so you may change slopes at any time. The entire ski area is famous for its snowy slopes of all difficulty levels. Downhill slopes of over 55 km are waiting to be explored. It may well happen that you cross paths with world-class Olympians, who train here. 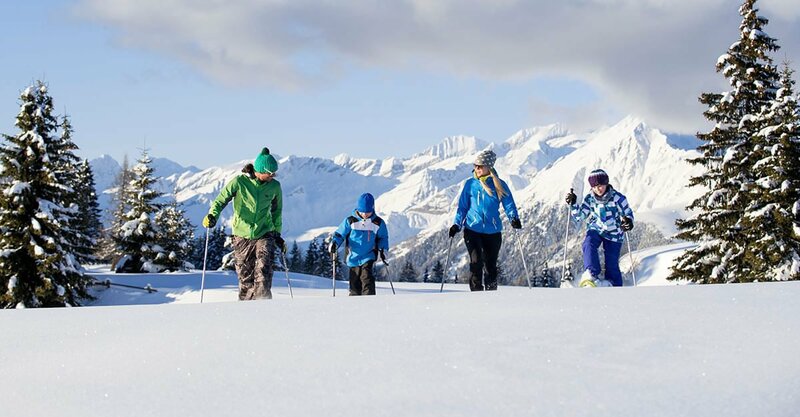 From December to Easter, beginners may use about 20 km of slopes marked “easy” – while experts may enjoy 10 km of black slopes, of which the slope Sergerwiese is certainly the best known. 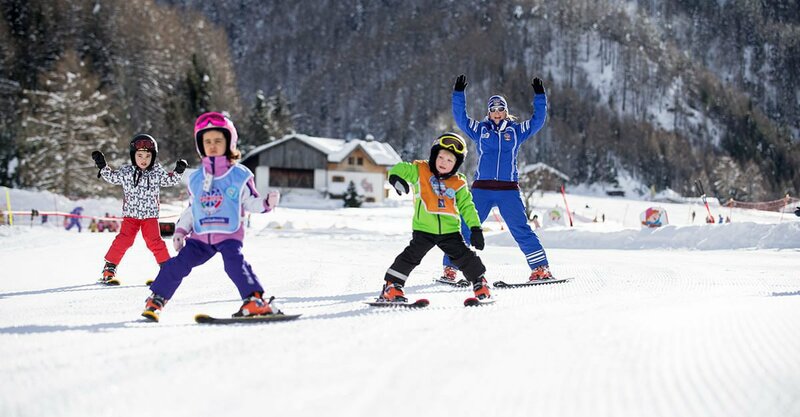 As a family-friendly hotel in Gitschberg Val Giovo, we have even more good news: Our winter sports region is considered very family and child-friendly. 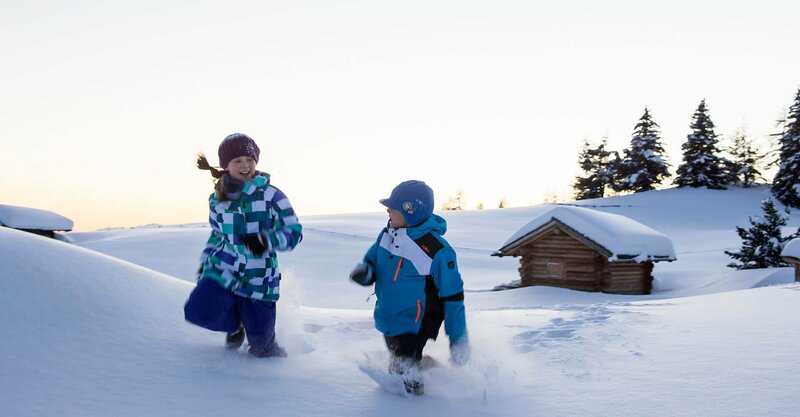 Not only do we have child-friendly slopes – our certified children’s ski schools with extra courses for the Christmas holidays, the magical Zwergele children’s world in Maranza and the new children’s world on the Nesselbahn also offer all sorts of fun and excitement with plenty of skiing fun. Furthermore, there is the Bambino Club in Valles. 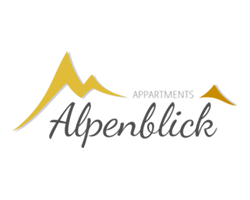 It combines an action-packed game world with didactically modern methods to teach even the smallest holidaymakers skiing in a safe and fun way.